Staples has a printable coupon here that will save you 15% off your purchase (excludes computers). The coupon expires 1/30/10. Limit one per customer. Not valid on any desktop or laptop computers, netbooks, services, custom printing orders placed online, promotional products, Bose products, Apple products, gift cards, phone cards, postage stamps, prior purchases or Staples Industrial purchases. Coupon value does not include tax. 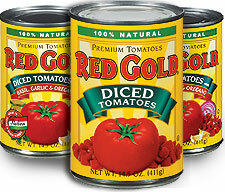 Go here to print a coupon to receive $0.75 off 3 cans of Red Gold Tomatoes. There will be 2 inserts in this Sunday’s newspaper – one smart source and one red plum. Go here for a sneak peak! Go here to print a coupon for one free box of Sunbelt Granola Bars or Fruit and Grain Bars when you buy one box. The coupon expires 2/18/10. Go here to print a coupon for one free six inch sub when you purchase a six inch sub at Subway. Coupons.com has a coupon for $1.00 of 2 packages of Kraft or Cracker Barrel natural cheese. Go here to get your coupon. Click through the pages until you see it. Mine was on page 15. Go here to print a coupon for one free Steaz Zero Calorie beverage. Available at Whole Foods Markets and natural food stores nationwide. Go here to sign up to receive a $10 coupon book from Betty Crocker. Allow 6 – 8 weeks for delivery.